The most difficult part of any undertaking is often just getting started. By planning what to pack first when moving, you can avoid procrastination and stay organized during a chaotic time. Just follow this guide, and you’ll be organized, stress-free, and fully packed before you know it! Before you can even think about what to pack first when you're moving, you need to get a few foundational moving tasks out of the way. The items on this list will help you organize your move and set yourself up for packing success. The moment you know you’re moving, you should grab a moving checklist. With dozens and dozens of moving-related tasks to complete, you don’t want to let anything slip through the cracks. 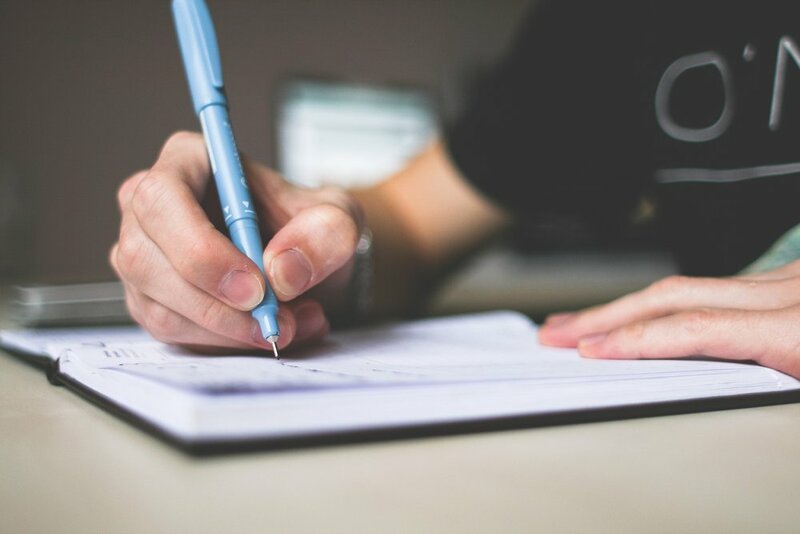 Your checklist should give you a timeline of all these tasks so that you know, for example, when to change utilities versus when to decide what to pack first for moving. Lucky for you, we’ve already put together the most epic moving checklist in the history of checklists. Download it by clicking the button below! Before figuring out what to pack first when moving, it’s smart to take inventory and see just how many belongings you have. Create a spreadsheet or a simple pen-and-paper list of everything you own. Then, break it into categories. How many sets of sheets do you have? How much fine china? How many boxes of out-of-season clothes? Having this list on hand will help you figure out what exactly you should pack first when moving. Hopefully, as you took inventory of your belongings, you realized that you have a lot of stuff to get rid of. Before you begin packing, take the time to get rid of old or tattered clothing, recycle books you won’t read again, and toss other items that are taking up unnecessary space in your home. Once you’ve done that, you’ll have a clear mind (and home!) and you’ll be ready to get packing. Okay, one final step before you choose what to pack first when moving. Your moving company is one of the most important pieces of your move, so don’t push this task off. To be properly prepared for an in-home estimate, start packing after the estimate. 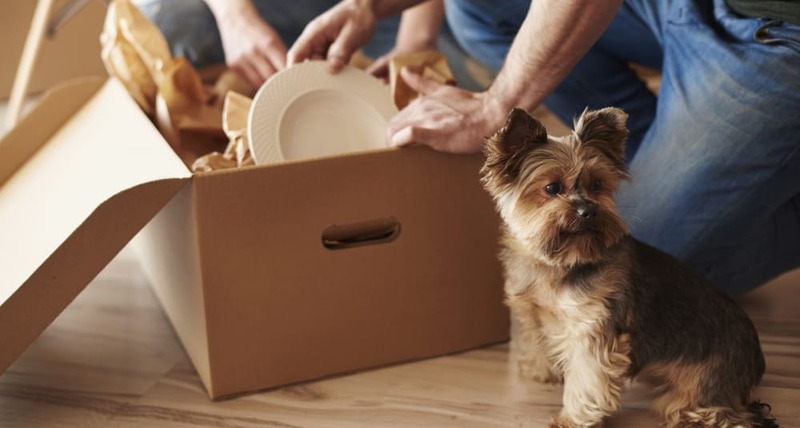 To ensure the most accurate estimate, you won’t want half-packed boxes scattered through your home. Find a moving company that fits your needs below. If you find yourself procrastinating, it’s probably because you can’t decide what to pack first when moving. With this list in hand, you won’t even have to think about what to pack first. So follow along and get started today! Items in storage should be one of the first things you pack when moving. 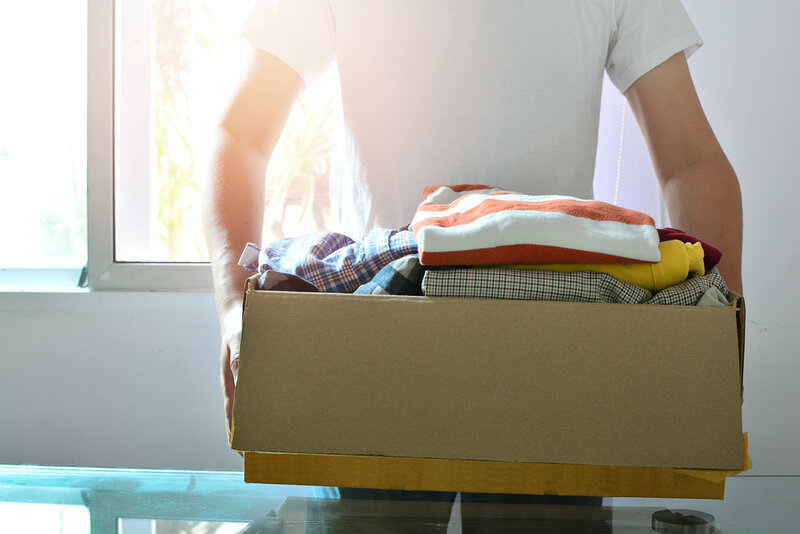 Whether packed in a storage unit, your garage, or deep in your walk-in closet, these items are easy to pack first when moving since they’re most likely already in boxes. Just make sure to take things out, get rid of what you don’t want, and try to consolidate boxes as much as possible. The fewer boxes on move-out day, the better! 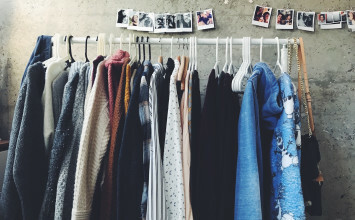 Out-of-season clothes are easy to pack first when moving because like items in storage, out-of-season clothes may already be in boxes. Plus, these clothes may not need to be accessed for several months. On day one of packing, you can go ahead and get them out of the way, giving you enough packing momentum to tackle more difficult parts of your home! There’s a strong chance you won’t be hosting fancy dinner parties during your move. This makes fine china the perfect item to pack first when moving. 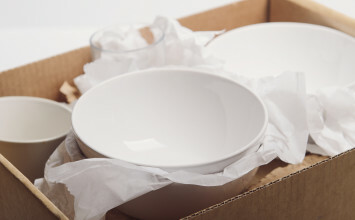 Just make sure to pack these dishes very carefully and clearly label the boxes as fragile. While you’re at it, you might want to go ahead and pack other dishes and cookware that you rarely use. You can always spend the last few weeks in your home using paper plates! Though wall hangings can be tricky to pack, they’re a great place to begin. Most likely, the only practical use for your artwork and picture frames are as decorations, and you don’t need decorations up while you pack. Not to mention, it’s easy to forget to take them down when the chaos of move-in day rolls around. Avoid forgetting about wall hangings by prioritizing these items when deciding what to pack first when moving. No matter how special they are to you, you’ve got to pack your knick-knacks first when moving. 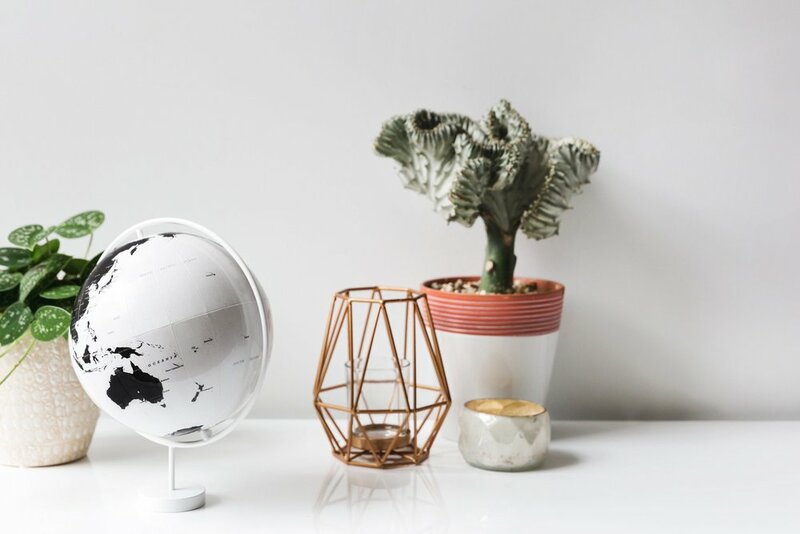 If you procrastinate on packing knick-knacks, it’s easy to get overwhelmed at the last minute by these small pieces scattered throughout your home. Whether it’s an old souvenir or a trendy jewelry dish, make these items a priority when you start packing. Extra towels and linens are the perfect belongings to pack first when moving. 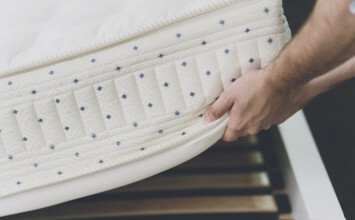 A big move is not the ideal time to change your sheets or keep a large pile of dirty towels around. Instead, plan on washing the same few dish and bath towels so that you can keep your laundry basket empty and ready for move-out day. Choose a few books you want to keep easily accessible and pack the rest of your books first when moving. Just make sure you return borrowed books to their respective owners, whether it be your friends or the library. You don’t want to be liable for those books if they get lost during your move! Deciding what to pack first when moving can seem intimidating, but with a little help, you’ll find that it’s not too difficult once you know where to begin. What did you pack first when moving? Did we miss something? Let us know in the comments below!